Russian Defense Ministry said Saturday that the Pentagon took "provocative steps" by providing heavy arms to the PKK-affiliated Democratic Union Party (PYD) and its armed People's Protection Units (YPG) in Syria. In a statement, the Defense Ministry said Turkey launched Afrin operation due to the U.S. arming of the groups in Syria. It also highlighted the "provocative steps" taken by the United States was the main factor contributing to the development of the crisis situation in northwest Syria. The U.S. created some Kurdish populated areas in Syria and tried to isolate these regions, according to the statement. In a separate statement, Russian defense ministry said it is pulling back troops that had been deployed near Afrin. 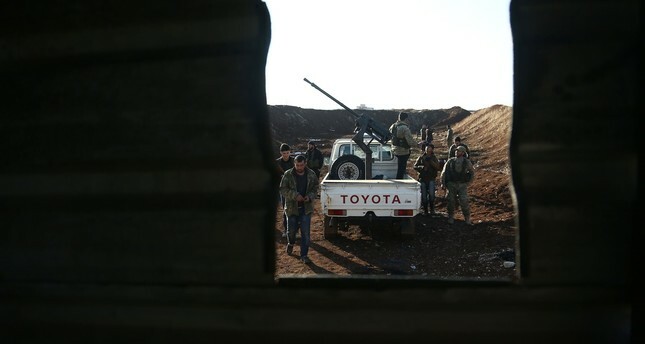 The ministry said that "to prevent possible provocations, to exclude the threat to life and health of Russian servicemen, the operational group of the Center for Reconciliation of warring parties and military police in the Afrin area is relocated to the Tell-Adjar area." Tell-Adjar is within a so-called "de-escalation zone" established in September. There were no immediate reports of how many Russian servicemen were affected by the move. Turkey launched the Afrin operations due to Pentagon's supply of modern weapons to US-led armed groups in Syria, the statement said and added that the United States' irresponsible behavior in Syria threatens the peace process in the country as well as the Geneva process. Turkey has launched a military campaign in northwestern Syria to eliminate the PKK, PYD, YPG and Daesh terrorist organizations, and to save civilians in the region from the terrorists' oppression and cruelty.